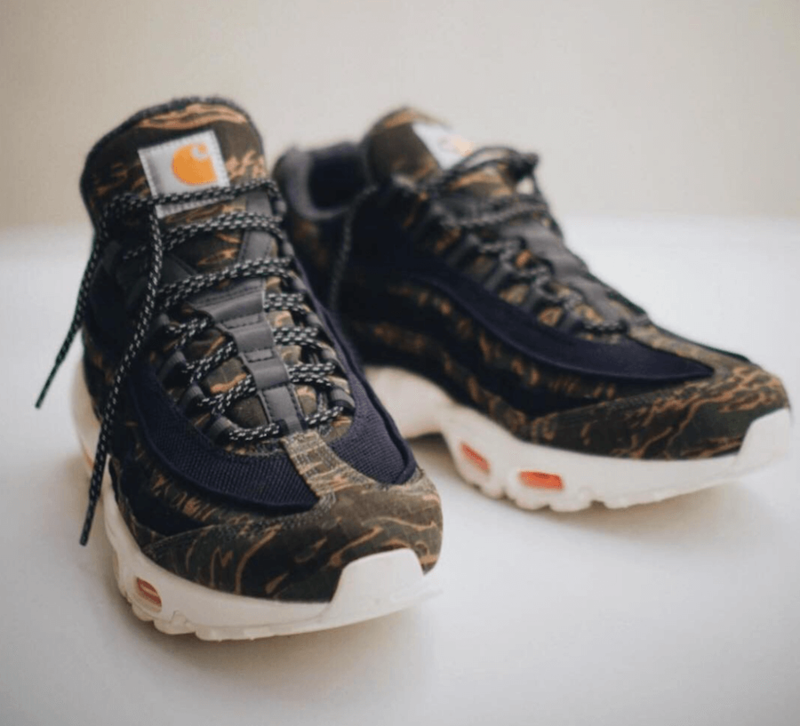 Carhartt and Nike are all set to drop a new collaborative version of Air Max 95 releasing during this month of December. 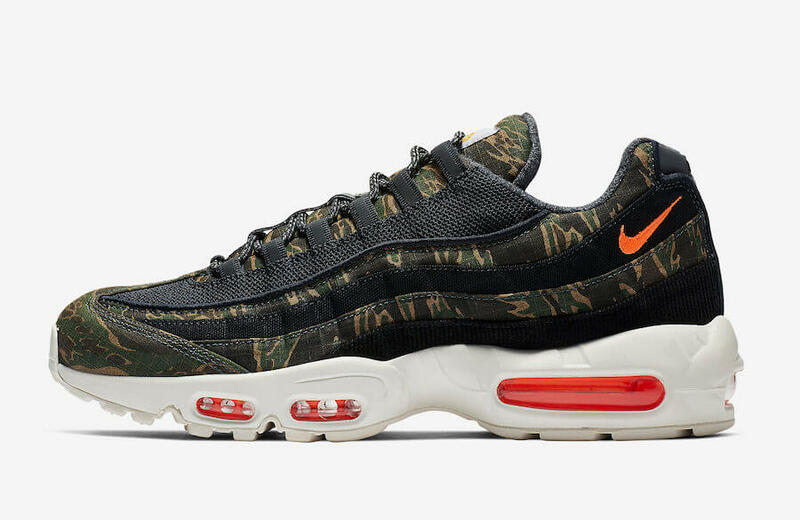 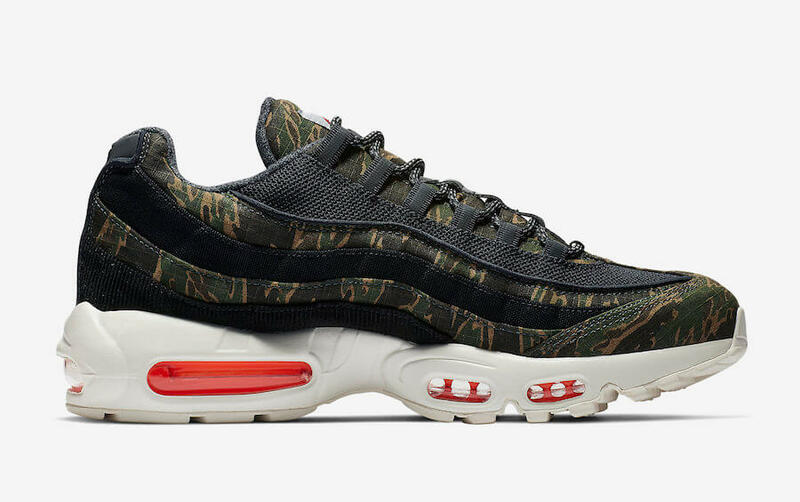 The shoe basically nods to the fall season of 2018 and comes covered in a combination of Camouflage/Black upper. 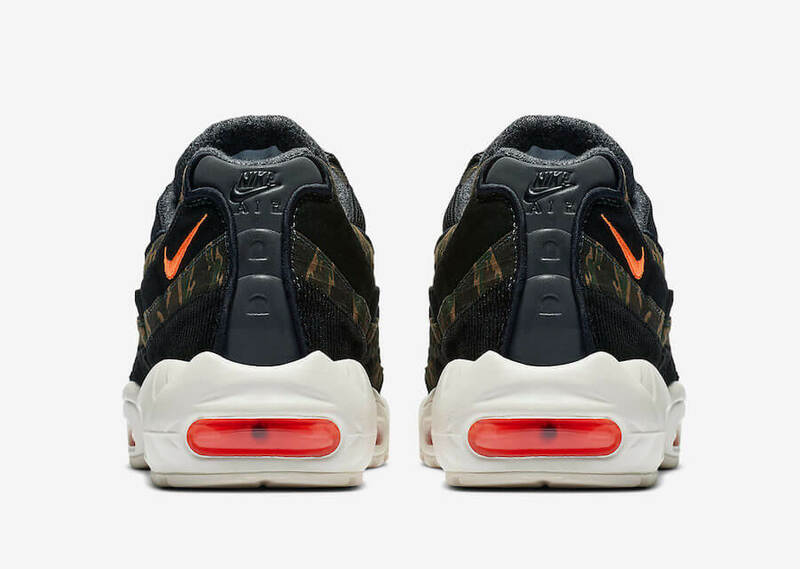 This particular Air Max 95 has been further enhanced with Total Orange accents displayed on the Air unit placed over its Sail-colored midsole. 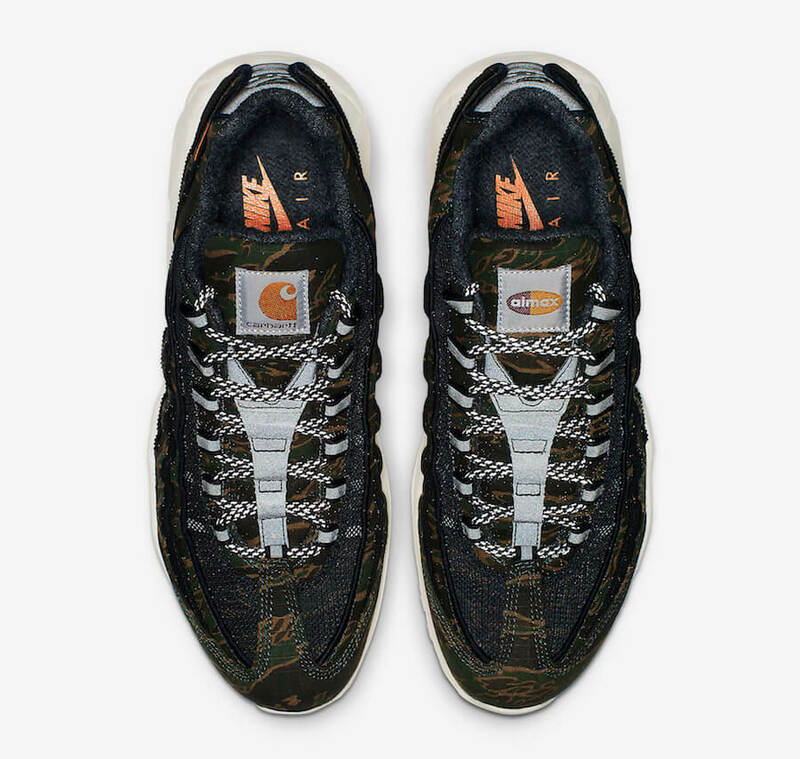 Moreover, Carhartt-branded tags can be witnessed on both tongues. 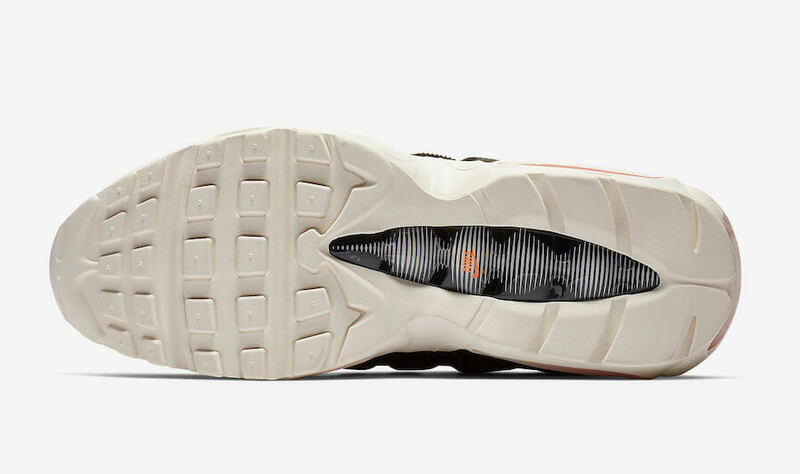 At last, completing the whole design altogether is the reflective detailing and a proper set of work boot-style speckled laces. 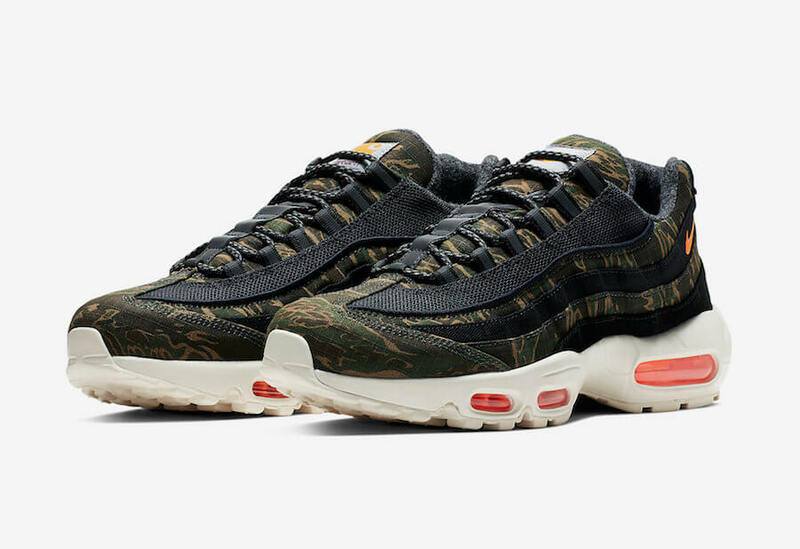 Retailing at $170, check out more detailed images below and grab a pair for yourself at any select Nike Sportswear retailers on 6th of December 2018.